EXCLUSIVE: Jerry verDorn Talks Life After One Life to Live & Much More! 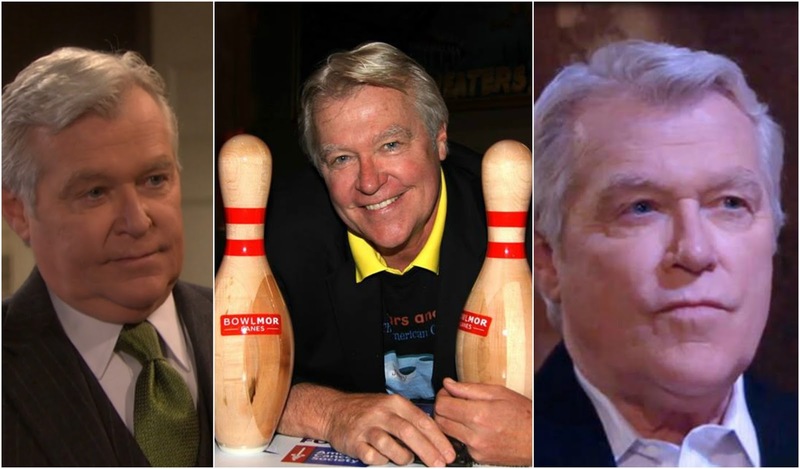 Jerry verDorn, a talented, outstanding and successful actor is best known for his role as Ross Marler on 'Guiding Light' and Clint Buchanan on 'One Life to Live'. verDorn became one of Guiding Light's longest-running cast members, having debuted in the role on March 23, 1979 and playing the character for over 26 years. His outstanding work didn't go unrecognized and he won the Daytime Emmy Awards for Best Supporting Actor in 1995 and 1996. He made his last appearance as Ross on 'GL' on October 11, 2005 and thereafter debuted as Clint Buchanan on 'OLTL' on October 25, 2005 playing the role until the show was cancelled by ABC in 2012. He then became the first actor to sign for the revival of OLTL on The Online Network which ran for a few months in 2013. In real-life, verDorn has been married to Beth verDorn since June 4, 1977 and together they have two children. Soap Opera News caught up with him to discuss life after 'OLTL', what he would do next and much more including the fact that he had to turn down playing the role of Rebecca Budig's (Hayden Barnes) father. While many daytime fans may have known him for his daytime roles and would have assumed that's what his entire acting career was all about, verDorn shared a little bit more about his career: "Actually, most of my career was spent doing plays and that is what I was trained for. Broadway, off-broadway, regional theatre, guest artist gigs at various colleges, etc. But I did do a lot of soaps which I liked because they remind me of doing summer theaters in that they go very fast," he shared as he added a little tidbit, "I recently had to turn down a part on GH (medical reasons) playing Rebecca Buddig’s father, a Bernie Madoff type guy." Fans are still hopeful that a reboot of both defunct soap operas: "AMC" and "OLTL" could happen and verDorn apparently shares the same sentiment. Here's what he had to say about it: "A re-boot on ABC could happen in a variety of possibilities," adding "Shows combined shows mixed with existing ABC shows on different platforms like Hulu or Netflix. The shows have name recognition so anything could happen. Yes, I would like to play Clint Buchanan again. Nice, evil, misunderstood guy who has daddy issues." Since the end of the show, verDorn has kept in touch with Erika Slezak who played his other half, Viki Lord for many years. On this topic, verDorn told us, "Yes, I have stayed in touch with the wonderful Erika Slezak. She was very nice to me and understood an actor’s issue in replacing someone. I was blessed to be in the right place at the right time to replace a long-running character but I was frightened at what I would find doing Clint. I had seen other recasts of longtime characters come to no good. I did not want to imitate the actor who originated the role but then again I did not want to be so different that the audience and cast would not accept me. I had to walk a tightrope and I decided to try to be like Asa (Clint’s father) rather than the original Clint. I think it worked pretty well as cast and audience seemed to be ok with me. It was an honor to play a major character on both GL and OLTL." Should a reboot happen? verDorn has an idea of what he would like to see happen for his character and his family. "On the final ABC episode, I (Clint) proposed and it would be great to see the wedding. It would also be great to see all their children (with all their problems) in attendance to witness the next Buchanan Chapter," he shared. verDorn would not only consider a return to OLTL if a reboot happens but he would also consider playing another character on another soap. "I’m open to anything," he shared while highlighting, "but I would like to return to the theatre." verDorn is also having the time of his life being a grandparent: "I am also totally enjoying being a grandfather for the first time. And two more on the way!!!" In closing, he had a few words for his fans: "I miss everybody on Guiding Light and One Life to Live. It is good to see GH’s ratings are up as well as the other shows! Love to all. jerry verDorn." So, fans would you like to see a reboot happen? Do you want to see him return as Clint Buchanan? Which other soap would you like to see him join? And, which character would you like to see him play? Soap Opera News: EXCLUSIVE: Jerry verDorn Talks Life After One Life to Live & Much More!